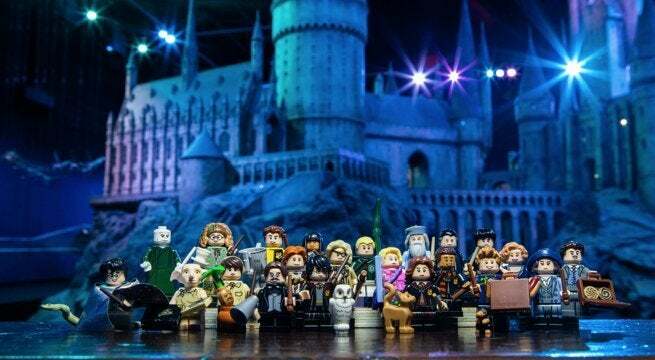 LEGO has just announced that nearly two dozen fan favorite characters from The Wizarding World of Harry Potter are part of a brand new series of minifigures that you’ll be able to pick up at starting on August 1st for $3.99 each. The collection will include characters from both Harry Potter and Fantastic Beasts - see if you can name them all in the image from WB Studios in London featured above. A list of the figures with official descriptions is available below, but don't look yet! That would be cheating. 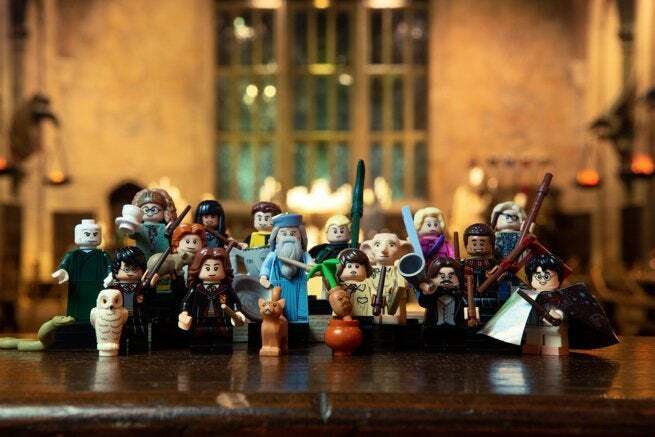 The minifigures will be available in toy stores, but good luck collecting them all that way. You’re best bet is to hit shop.LEGO.com at midnight EST on July 31st / August 1st and start filling up your cart as quickly as possible. You should also keep in mind that four big Harry Potter LEGO sets are also expected to hit the LEGO Shop at the same time as the minfigures. These sets include 75954 Hogwarts Great Hall, 75955 Hogwarts Express, 75953 Hogwarts Whomping Willow, and 75956 Quidditch Match. You can learn more about those sets right here. Needless to say, you have some decisions to make.